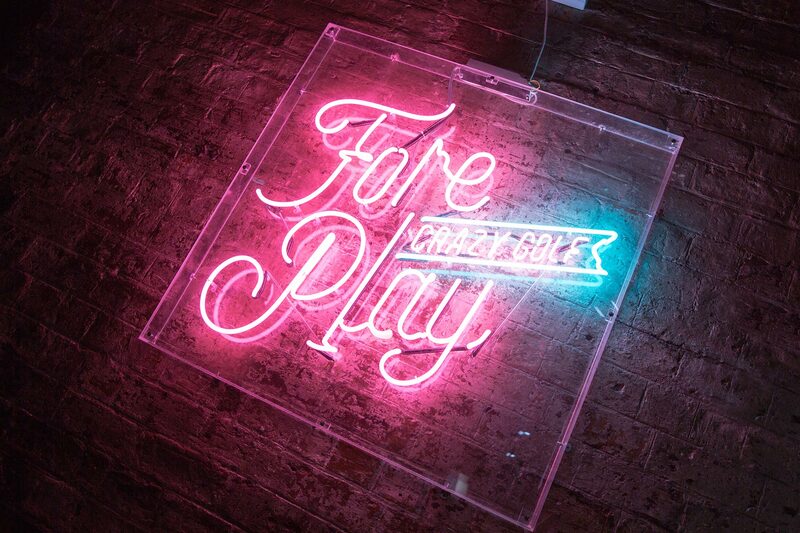 Fore Play Crazy Golf is a brand spanking new concept launching in Glasgow and we’re here to revolutionise your social experience. Introducing a custom-made indoor, 9 hole crazy golf course. But the fun doesn’t stop there, oh boy, oh boy! Because we’re not just a crazy golf venue, we’re Fore Play Crazy Golf and that means cocktails and street food as well. We are an over 18s venue* and actively encourage socialising (and drinking) with a competitive edge. We have space for local street-food vendors to come in and join the fun as well as providing you lovely people with some delicious scran. We’re based in Kinning Park, just off the Clyde and a pitch and a putt away from Glasgow’s city centre. So get ready to hit the green because whether you’re aiming to start your night off right, OR you are ours to entertain for the entire evening, there’s something for everyone.